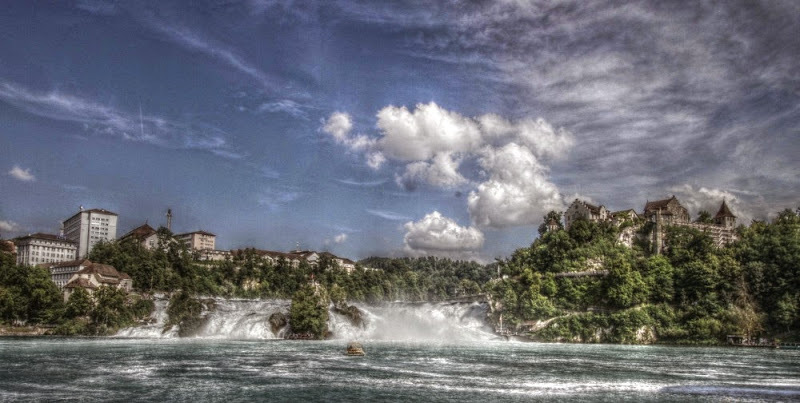 At just 23 meters (75 feet), the Rhine Falls are by no means the highest waterfalls. The Swiss Alps alone feature numerous falls that are much higher and, for that matter, probably look more impressive. Still, thanks to a flow rate ranging from 250,000 liters / second (winter) to 600,000 liters / second (summer), these falls are regarded as the "biggest" in Europe. For visitor information, please check out the Rhine Falls official website.